MEEKER | Please join us for Meeker’s 4-H Achievement Night on Thursday, Oct. 26 starting at 6:30 p.m. in the 4-H building at the fairgrounds. Everyone is welcome. 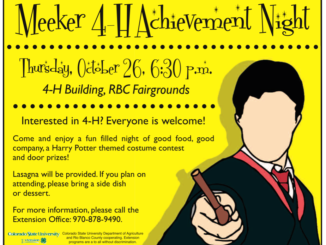 Come enjoy a fun-filled night of good food, good company, a Harry Potter-themed costume contest and door prizes. Lasagna will be provided. If you plan on attending please bring a side dish or dessert. 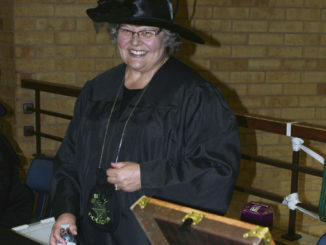 For more information please call the RBC Extension Office at 970-878-9490. Guest Column: October is Domestic Violence Awareness month in the U.S.